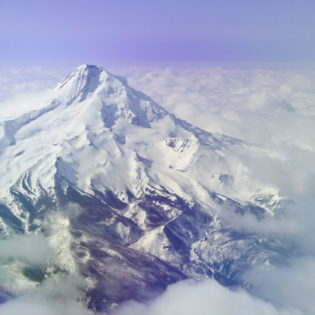 Matthew Grayson is, to say the least, an indomitable soul. As an artist, he has proven that few challenges are intimidating, scale is of little concern and attention to detail is paramount. His unique perspective draws him to unusual subjects, which he engages with uncommon depth. Take, for instance, Matthew’s renderings of rare birds of prey. This work is a commission from the Natural History Museum depicting seven raptors from seven different continents. 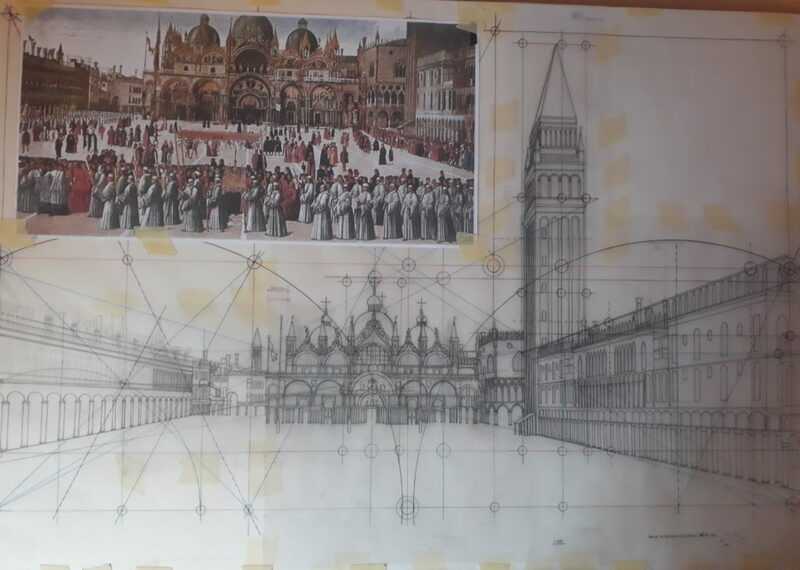 Grayson’s newest pursuit is a quite ambitious pencil and watercolor rendering of the Piazza San Marco in Venice as it would have appeared in the 15th century. The elaborate landmark is as imposing as it is ornate, its past steeped and storied in the strife and glory of conquest. Its structures have been influenced by myriad procurators, architects, artisans and a host of historical religious and political figures. At Emillions, we thought it would be exciting to show Matthew’s work in progress, so we’ve selected several images of the line drawings in their current state to give a sense of the magnitude and detail he is navigating as he works. This is a close up of the Ospizio Orseolo which was demolished three hundred and fifty years ago. 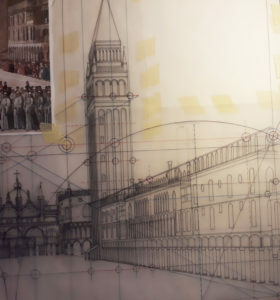 It’s unendingly fascinating to visualize the timeline and progression of the Piazza San Marco. The cavalcade of seemly random but significant historical events that conspired to produce the Piazza as we know and love it today cannot be overstated. Wouldn’t it be amazing to be able to see what it looked like at other points along that historical timeline? Grayson’s curiosity and ingenuity lead him down that exact path. 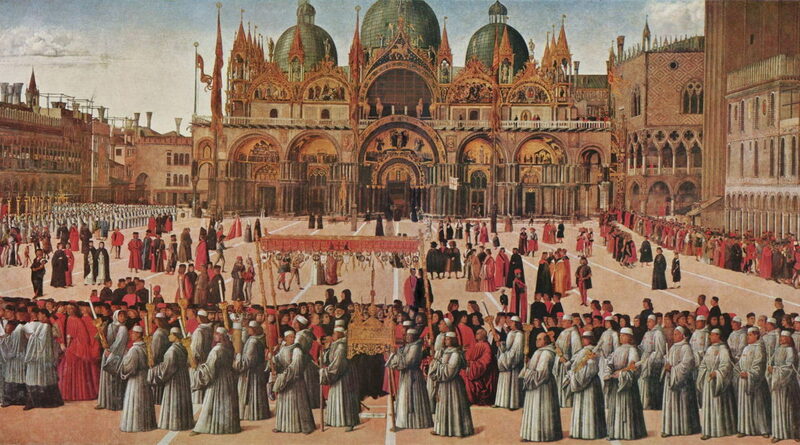 He says the idea for the Piazza project sprang from his love of Canaletto, the 18th century Venetian landscapist; the Renaissance masters of Venice; and the “Procession of the True Cross of Christ”, the only surviving painting portrait created by Gentile Bellini in the year 1495. “The artwork will be published in two parts: first, as a technical drawing study of the entire Piazza with as much detail as possible; second, the full color representation of the historical square with golds, red brickwork, multi-colored stone and other surfaces,” says Grayson. This is the entire length of the reworked South wall of the Piazza. To understand Grayson’s commitment and the level of immersion it takes to complete a project of this kind, consider this: the composition will take approximately one thousand five hundred hours to complete in the drawing phase and another one thousand hours to complete when painting. Just thirty lithographs will be published of each version. The initial line drawing print will be available in approximately twelve months’ time. The second color representation will be published a year after that. The limited edition prints will eventually be hung in the Correr Museum in Venice as part of its permanent collection. This is the completed technical draft trace of the Piazza and added geometry. Matthew explains, “The Correr Museum has been regularly updated with progress images of the entire project. 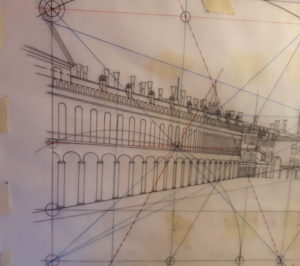 l will ask or suggest that they store all my updated images so they would be in a position to decide whether to exhibit the development of the Piazza San Marco artwork to the public, to give an insight into how the painting and initial drawing was created.” The final culmination of the work is the completed painting of the technical drawing study, which will include all the original colors and details of the Piazza, now long since lost.